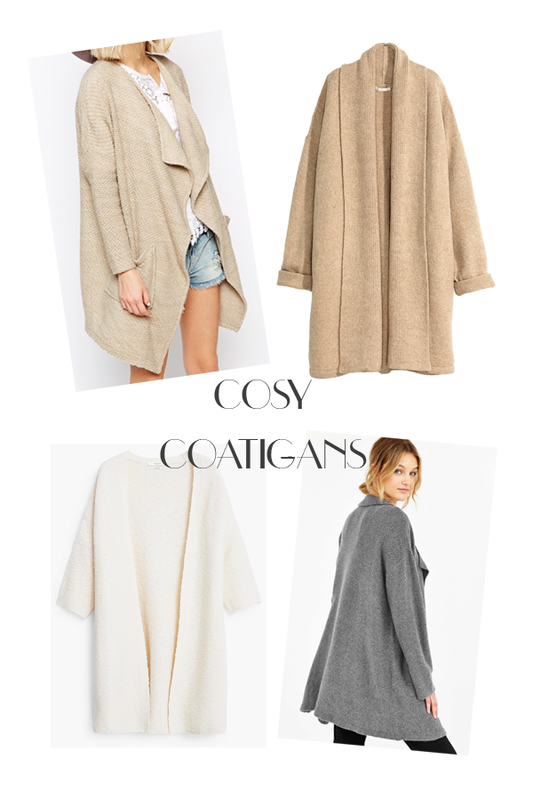 We’re kicking off with our current favourite layer, the coatigan! Half cardi, half coat – it’s an ideal piece for this crazy summer we are having; adding just the right amount of warmth without being too heavy. I picked up the River Island one (top left) last February and have got so much wear out of it over the past few months. Day to night, it works with endless outfits. A lot of people have asked me about it on Instagram, so I’m delighted to see it back in stock on ASOS. While having a browse around, I also fell in love with the beige H&M wool blend style (top left). It looks oh-so-cosy and is a must for transitioning into Autumn. It would also be fab later on in the season with leather leggings or over the knee black suede boots – and a huge plaid scarf! Can you tell I’m excited for layering up? !